I just want to say congratulations to the democrats for gaining the majority in BOTH the House and the Senate. Finally the American people are firing back at Bush's failed Iraq war. Even more interesting, Donald Rumsfeld resigned as Defense Secretary. I want to see the democrats change things in Iraq and hold those who led us into war accountable. There are people in our government getting away with crimes against humanity. Hopefully Bush will see the democratic victory as an indication no one in America likesÂ him and his war anymore. Oh, and in celebration I added a clip of Storm getting a face full of sleeping gas to the clips page! Yeah, I've been real busy lately so there have been smaller updates. Once I get done with all these tests, presentations and papers I can get back to living in my fantasy world. An anonymous contributer just sent me a whole bunch of nice scans. So I updated the chloro database with some new material and I updated the unknown chloros page. Â Life is weird I tell ya. I was watching American Dad today and there was a scene where Francine was bound with a tape gag. I was watching it with my friends but it didn't produce any reactions. It reminded me of the time Francine was gassed like 3 times in an episode. American Dad might just be a copy of Family Guy, but in the field of KOs this show delivers. Updated with a small scene from Legion of Superheroes. Also added two more Diabolik scans. Ok here's the thing. I have been looking for Yu-Gi-Oh episode 13 for a very long time. I found it last night on Youtube. In case you don't know, this episode features Anzu (Tea in the dubbed version) getting chloroformed by a twisted psychic. 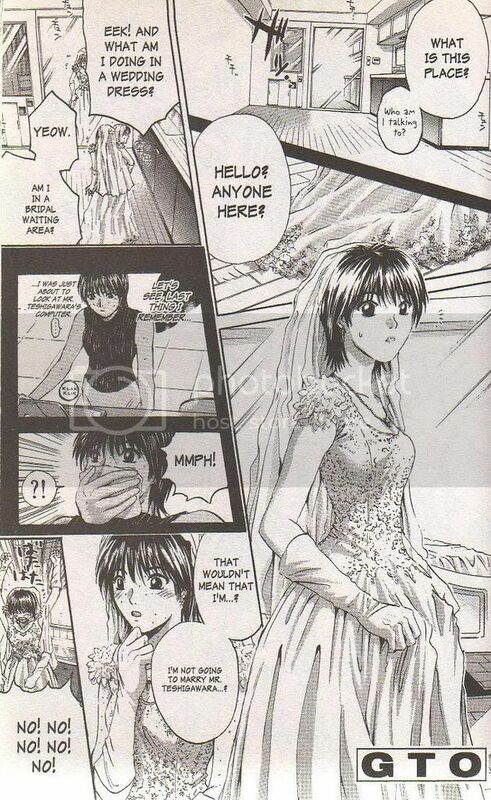 The scene basically follows the manga panel for panel. The scene is alright, a little too short. I like how the antagonist holds Anzu's unconscious body for a while. There is also a short clip of YuGi cradle carrying Anzu, but I didn't add that to the movie file. I may try to add it in a later update. 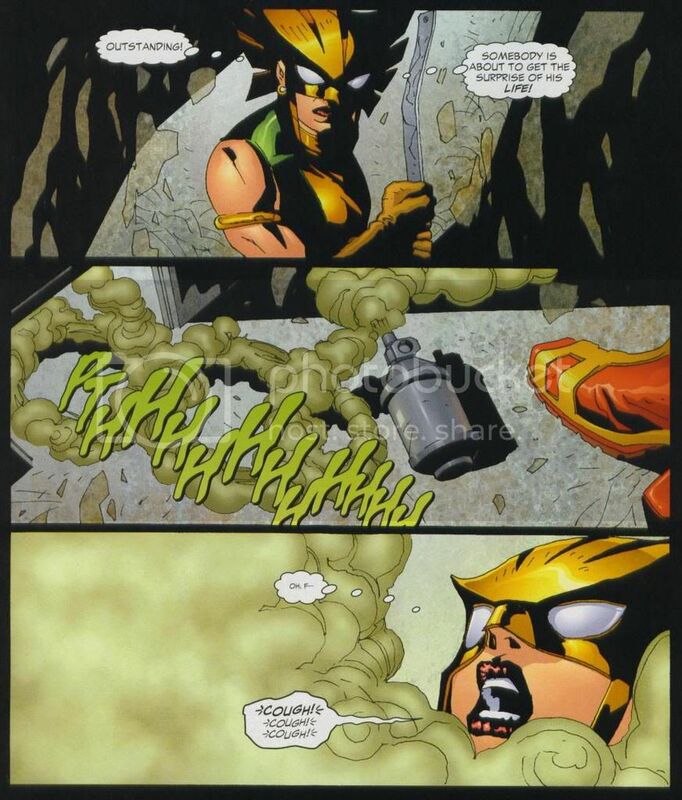 This scene is from Hawkgirl #58. I'm glad that comics today are still using sleeping gas. It is very reassuring. The folks at c3c are generally good when it comes to KO scenes. If there is a KO involved in DID they will usually post it, although people somtimes have to request it. It's a good feeling when you open up your email and there is a gas scene staring at you. I love life. I just finished watching American Dad. The episode was called "Of Ice and Men" (S2E30). There was a scene where Francine was hit with a tranquilizer dart. She goes limp and there is a subsequent wake up scene. The first chance I get I'm clipping this scene!